We hear these words and we all know what conversations are. We know what engaging conversations are…but how do you really have conversations on Twitter? Twitter moves fast and it can be daunting. Perhaps the best way is with an example in real life. What if an in-person conversation, one in real life, went like this: First I said “This quote about books is interesting.” Then my colleague said, “Yes it is, I really like this quote.” Then I said, “This quote reminds me that reading is so important. What are you reading right now?” Then she told me. And then I responded with what I was reading this month. That seems like a normal conversation, started with the question, what are you reading now? Imagine if the authors of the books we mentioned we were reading were able to jump into the conversation and thank us for reading their books? Wouldn’t that be kind of cool too? That is just what happened on Twitter. Hopefully this step-by-step explanation of an actual Twitter conversation, about actual things, can help you with starting your own conversations with your own network on Twitter. Second, upon notification that my tweet was favorited and retweeted, I looked to see who that was…it was Hilary! Now it was my turn to respond with what I was reading. What I did was I wrote in text which books I was reading, mentioned the authors’ names AND took a picture of the two books on my coffee table. 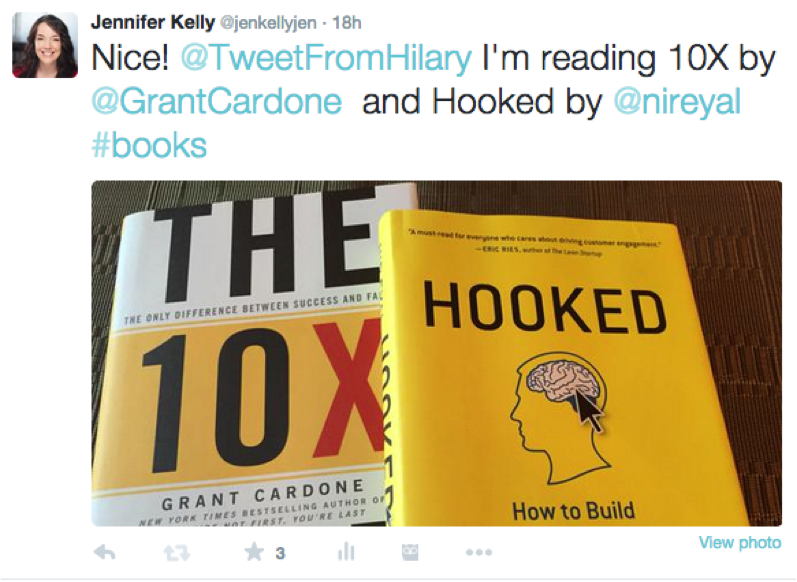 Both authors I mentioned got involved in the conversation; Grant Cardone gave it a RT with a comment that told me to “Be10X Awesome”(referencing the topic of his book). And Hilary and Nir Eyal (the other author mentioned) favorited the tweet. So there was our conversation on Twitter. I know what Hillary is reading – I can keep it in my mind for our future conversations (on Twitter, in real life, on email, over the phone). And I learned a little more about one of my contacts that I didn’t know previously. It’s great to know another person who is an active reader. This is an example of a first step to starting conversations and building relationships with your network. Try it today with your audience on Twitter. 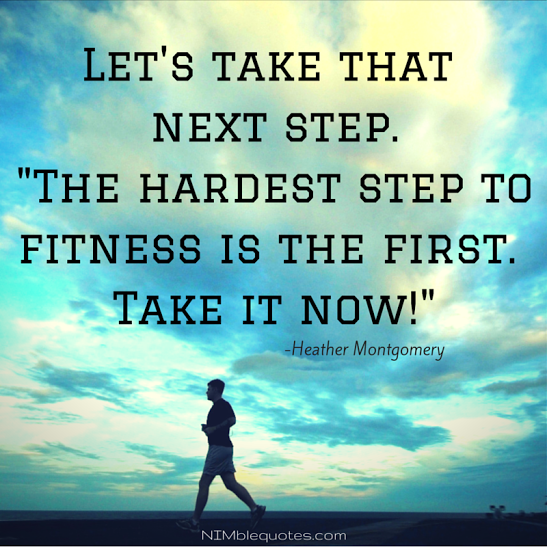 The quote that started this conversation on Twitter came from Nimble Quotes. Try it today for 30-days free. Wondering what Nimble quotes looks like on a live Twitter account? 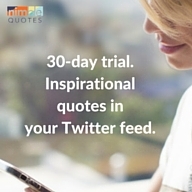 Check out Nimble Quotes in action on these Twitter accounts: @jenkellyjen or @newimarketing.